Its been a while since I’ve been on my blog… Schoolwork is keeping me busy, and making me forget that I have a line up of movies I am keen to talk about! Normally, my favourite time to write about a movie would be the day after I have watched it: it’s fresh in my mind, yet I still have time to reflect on my thoughts and questions. In this case, however, I have left it so long that my list of films I am eager to write about are piling up, and it is time I wrote about them – despite them not being so fresh in my mind (I will try my best!). The movies I wish to discuss here are Spike Jonze’s ‘Her’ and Anthony Minghella’s ‘The Talented Mr Ripley’. Despite being of very different genres, these movies are – for me – somewhat similar, in the sense that both directors delve into their characters with great intensity, revealing their deepest emotions. 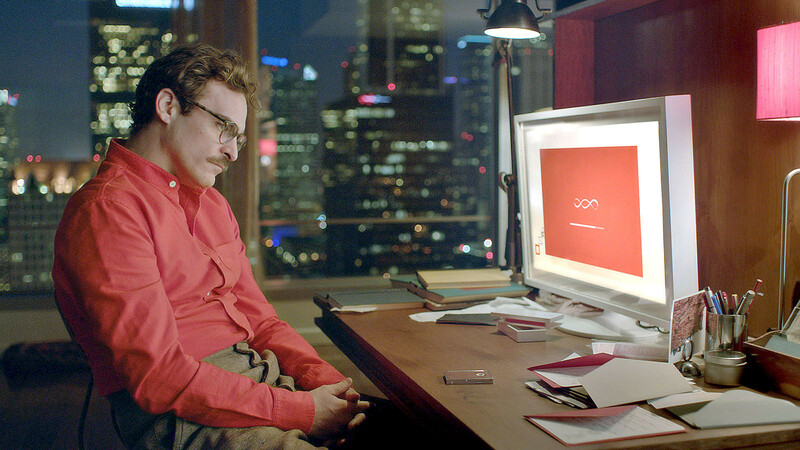 Her, by director Spike Jonze, tells the story of a man (played by Joaquin Phoenix) who becomes fascinated by an operating system, designed to meet the buyers every need; when he starts up the program, he is met by Samantha (voiced by Scarlett Johansson). The story is sweet, yet heartbreaking, bringing to light the reality of loneliness. For me, the loneliness was more apparent as soon as Samantha was made: the fact that he has noone else to turn and talk to, that he resorts to a robot, reminding us of the desire and need we have for another being to share our emotions with. The bond the two characters share appears authentic and real; he appears so happy and content when he is with her. Their harmonious relationship is guided by other subtleties such as the use of the colour orange which I noticed frequently propping up in the colour scheme. This movie made me ponder on society now, and the urge that we have to modernise. The speed in which technology is being developed today makes me question: does the computer system, as portrayed in Her, foreshadow a reality, that soon we will have invented this technology ourselves and everyone will be walking around plugged in to an earpiece, talking to a robot?.. 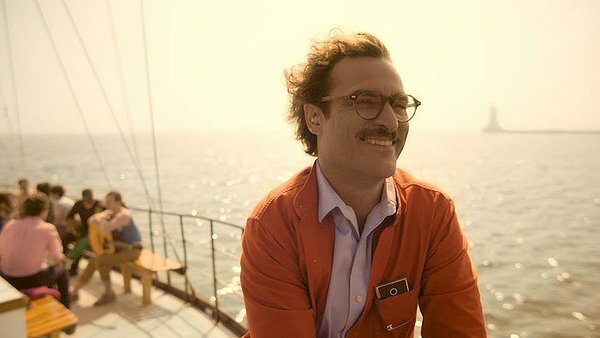 I adored this movie – completely falling in love with Joaquin’s character, feeling saddened by his loneliness, but managing to feel fully satisfied by the end. Being a fan of Jude Law, Matt Damon and Gwyneth Paltrow, and always being up for a true psychological thriller, I was super excited to finally watch this movie! Set in the late 1950s, this chilling thriller delves into the characters of (particularly) underachiever Tom Ripley (Matt Damon) and rich boy Dickie Greenleaf (Jude Law) whom Ripley is sent on an errand to retrieve in Italy to bring back to Dickie’s father in New York. The cool and smooth sounds of jazz that permeate the movie invites us into the culture of 50s Italy, enticing us also into the movie as a whole. The cabin scene with lovers Peter and Tom is definitely memorable: the creepy maniac that is Tom Ripley strangling Peter to death, yet the sadness that comes with the tears rolling down Toms cheeks. This scene reveals an outpouring, troubled Tom Ripley – “I suppose I always thought – better to be a fake somebody than a real nobody” – and his savage murder – “Tom is not a nobody…Tom has someone to love him…Tom is crushing me. Tom is crushing me. Tom, you’re crushing me!”. The use of the word ‘crushing’ is utterly brutal, and the end is truly devastating – both the murder, and the fact that Tom was so troubled. As Tom dies, the closet door swings open and shut again, as if to reflect the secret of Tom Ripley’s homosexuality. All in all, this is a disturbing, intense, and yet heartrending movie. I’ve not yet seen Her, but it sounds fascinating. Thanks for the reminder to check it out! No problem – yes definitely watch! Her really was superbly original. Wonderfully played too.